Be it rocking the best Halloween party this side of the murky swamp in which I reside, or sitting alone in a room with only the soft glow of my stereo to comfort me, these are some top jams that really put me in the Halloween mood. First, I’ll start off with giving you a couple of tracks that just screams “tis the season to be spooky”. Couldn’t be more obvious of a song to put on this list. 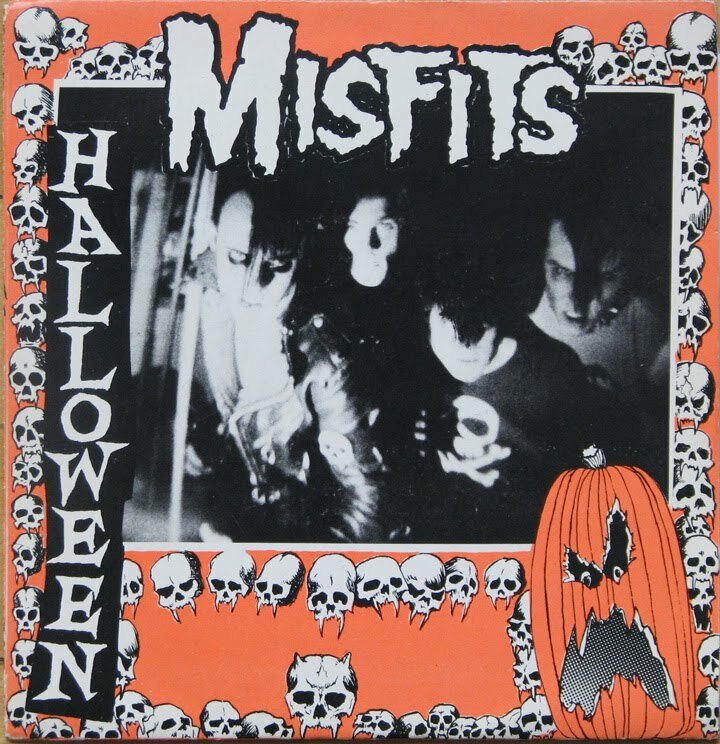 As Glenn and the boys recant tales of Halloween memories with “little dead out in droves” and “pumpkin faces in the night”, there is surely no more of a fitting song to commemorate what is clearly their, as well as our, favorite day of the year. After all, this day…. anything goes. This was my selection for this months Killer Kuts segment on the 6ft Plus Podcast (The Podcast of music and more for those who like it spooky. Click the link to your left) for a reason. This toe tapping psychobilly joint is an earworm that you won’t wanna dig out of your head. Upbeat and catchy, this howler is sure to set your night on fire. A slow brooding song that discusses the ups and downs of having monsters for family members. A zombie brother, a mummy for a mommy and the titular, Vampire for a daddy. A tale as old as time. A dance party at a zombie school as told from the originators of ghoulish psycho rock, The Cramps! An ode to the original silent film creature of the night, this blinding speed rocker will have you bouncing off the padded walls of your loony bin cell all night long. 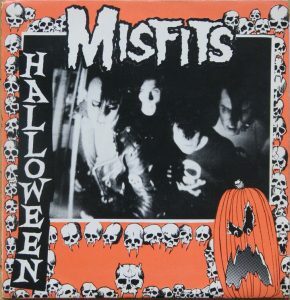 Now, I want to discuss 2 albums that are the most Halloween to me. The first one is a fairly new album. In September of 2016, Wolfmen of Mars released the warped Suburbium EP digitally through their bandcamp page. 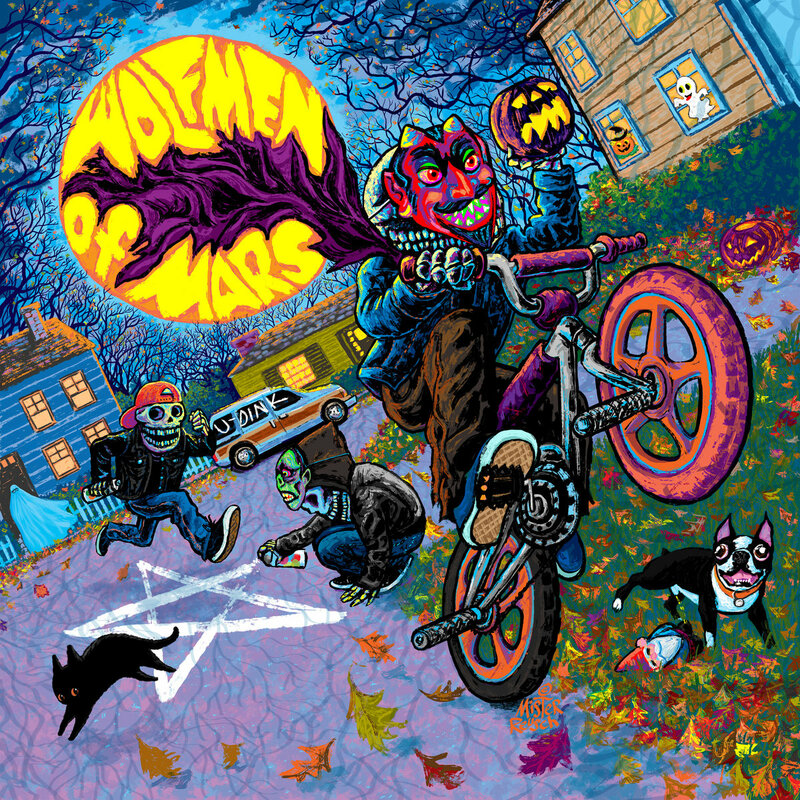 Wolfmen of Mars are an instrumental band with heavy grooves and dark electronic sounds. Think John Carpenter soundtracks mixed with brooding ambiance and you’re kind of on the right track. Everything about Warped Suburbium says Halloween to me. From the artwork, witch (<— See what I did there?) you can purchase 12×12 prints of directly from the artist (got one framed in my living room as we speak, or write anyways) to the music. This 13 plus minutes EP SOUNDS like Halloween to me. The mood and the spirit of that sacred night are in this music. The second album is a compilation. In the late 90’s Geffen Records decided to give Rob Zombie a vanity label in which he named Zombie A Go-Go Records. And although very short lived, he DID release a few things. Most, if not all of which were issued on vinyl by Telstar Records. This comp is one of them. 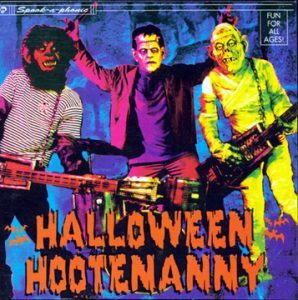 A Halloween themed compilation featuring garage rock and surf bands. Some know for their spooky leanings and others not so much. The album starts with a limerick from the Cool Ghoul tv horror host Zacherle. The album contains more notable bands such as Rocket From the Crypt, Southern Culture on the Skids, Reverend Horton Heat and even Rob Zombie doing a callabo with The Ghastly Ones. But some of the most standout songs to me come from the lesser known groups. The Swinging Neckbreakers “No Costume,No Candy” (also featured in the Night of the Demons remake a couple years back) is the ultimate warning against going trick or treating ill prepared. Los Starightjackets’ cover of The Munsters Theme is classic among surf music aficionados. aside from their track “Werewolf”, Southern Culture on the Skids also cover CCR’s Sinister Purpose with Zacherle on vocals. Dead Elvi-Creature Stole My Surfboard and Deadbolt’s-Psychic Voodoo Doll put this over the top for my mandatory Halloween listening and I play the whole album straight through every Halloween. And also various other times throughout the year when I am wistful of October 31st.